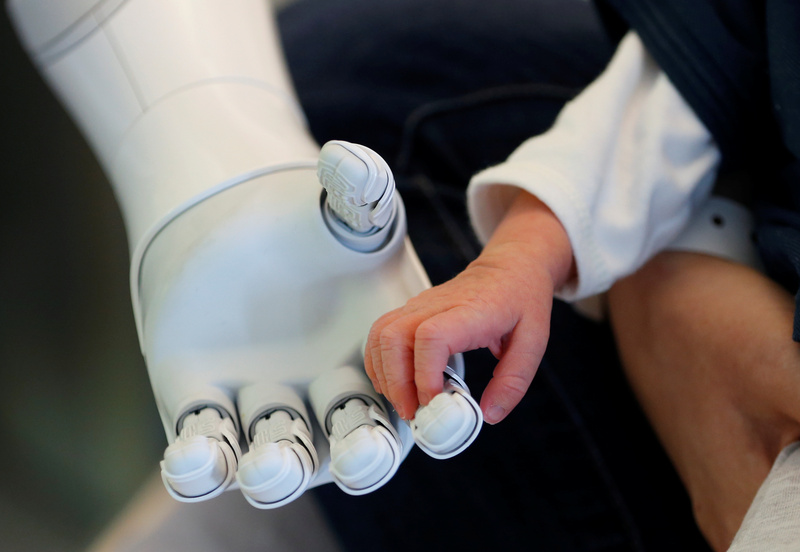 ‘Pepper the humanoid robot, designed to welcome and take care of visitors and patients, holds the hand of a new born baby at AZ Damiaan hospital in Ostend, Belgium. June 16, 2016. You’d think technology is giving developing countries a boost, but it turns out seven countries are getting the most economic and digital return for technological innovation. Those are the United States, Singapore, Finland, the Netherlands, Sweden, Switzerland and Israel, according to a new survey from the World Economic Forum. The survey found individuals driving the digital revolution and a widening infrastructure gap between rich and developing countries. Are Robots the Future of Care for Sick Children? Several hospitals in different parts of the world are now using robot pets to help care for sick children. According to a global study of children aged 12 years and older, 64 percent of the children polled treated robots the same way they would treat an animal or another person. Some of the hospitals participating in the robot therapy project have incorporated robots into as companions for sick children or facilitators for therapy sessions. Much like a computer, the human brain needs a network of connections to relay messages from one part of the body to another. In cases of injury, such as spinal cord injuries or speech problems due to strokes, the messages cannot travel back and forth. Now, the U.S.-based Center for Sensorimotor Neural Engineering is developing a machine learning system that could be used in the future to restore some functions after brain or spinal cord injuries.